Adventure, Sustainability, Downsizing, Minimalist lifestyle. These are only a few reasons that we have found customers wanting to change to a tiny home lifestyle. Here are a few reasons why the tiny home lifestyle may be the right fit for you. People across America are finding that tiny homes have significantly less maintenance than regular single family homes as it is estimated that tiny homes can save you appx. $400 per month. This allows you to do more of the things you love, like travel or save for an early retirement. Adding features such as solar panels can help you save even more, not to mention tiny homes are a fraction of the cost of a traditional single family home. In a 'society of stuff', it is easy to get overwhelmed with rooms that can't be used because of stacked boxes, full closets, or even the cost of storage units. According to the Wall Street Journal, we spend an estimated $1.2 trillion dollars on things we don't absolutely need. 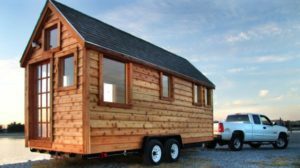 If you are ready to downsize some belongings and commit to buying less stuff, the tiny home lifestyle may be for you. In the end, this can also save you big bucks. Lowering your environmental footprint may be a very important piece of your life. Not only can you use sustainably or recycled building materials to make your home, you can do so without sacrificing style. The cost to take a tiny home off the grid is significantly less if your preference is to use a renewable resource. Perhaps you would like to purchase a piece of land to become self-sufficient and start homesteading. Sustainability and tiny homes go hand in hand. These are just a few of the ways that the tiny home lifestyle is helping to provide balance to many. If you have questions about how we can help you build or for a current list of homes we have in inventory, we would love to hear from you. Drop us an email to sal@littlehomesoftexas.com and we will follow up quickly!